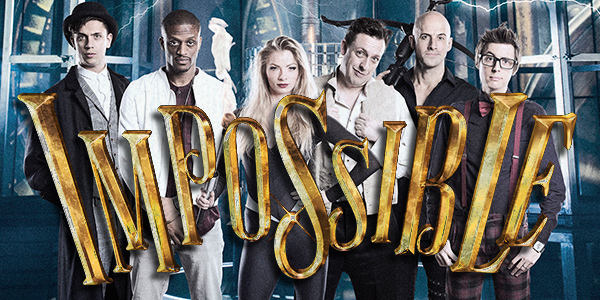 On Tuesday evening I went to watch 'Impossible' at the Palace Theatre in Manchester, I watched my first ever magic show and I found it super enjoyable. The performance went through the journey of magic over the years and I sat with my jaw dropping and lots of laughing - I thought it was really entertaining! I was captivated throughout the two hour performance and I applaud the audience members that participated in some of the acts as well as the magicians. The line-up included Lee Thompson (who managed to steal an audience members phone without him knowing), Jonathan Goodwin (who made me squeal by bending a spanner with his teeth!) and Josephine Lee (the female illusionist who stunned the audience in silence). Chris Cox is the 'mind reader that doesn't read minds' his geeky character and humour was hilarious and he amazed the audience with his mind reading. There was also some magic transportation as Ben Hart moved the audience member from one cage on the stage to another - I would love to know how this happened! The women that was transported looked completely in shock. There was also a hip-hop street magician, Magical Bones, who's dance moves were absolutely amazing! I found the show was suitable for everyone as around me I could here gasps and chuckles from children and adults - everyone really enjoyed the night (including me)! I didn't want to give away too much because if it's in near where you live I recommend you go watch it for yourself! Sounds like a great show! I'd love to see a magic show but is it silly that I am anxious that I would be the one who would happen to get picked? I just feel that would happen to me!